Photo of: East Coast of Ireland: Dublin: Four Courts. 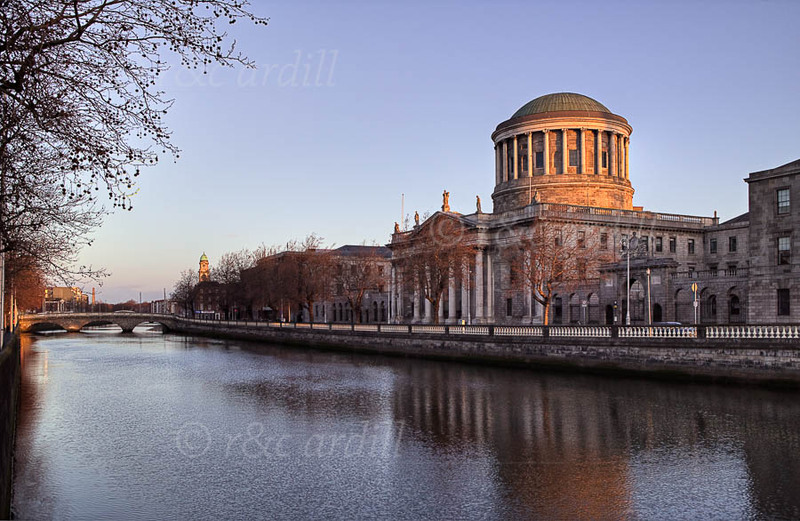 A dawn view of the Four Courts in Dublin on the banks of the River Liffey. The photograph was taken in winter as the sun was touching the top of the Four Courts and the church spire in the distance.